Now That You Know What’s Causing Your Acne… What Can You Do About It? Last post, I gave you some hints and clues about what may be causing your specific acne problem. If you now have a hunch about which imbalances may be wreaking the most havoc for you, then you may be wondering….. what do I do about it? Start by improving your diet! If you know you eat really poorly, a bit of extra nutrition may be all it takes. Start getting exercise. Try to find an activity that you find fun so that you’ll stick with it. Bonus points if it’s outdoors. Start taking fish oil or cod liver oil. Almost everyone is deficient in Omega 3s and it’s so important for the health of the skin. There are many things that can cause hormones to go out of whack (puberty, birth control pills, stress, Poly Cystic Ovarian Syndrome, etc), but all of these things are almost entirely influenced by lifestyle. So the number one key to balancing hormones is to eat right, exercise, sleep well, and reduce stress. Get a saliva hormone test. This can tell you exactly which sort of hormonal imbalance you’re dealing with, and you can then find supplements that may help with your specific issue. Stop eating conventional meat and dairy that contains synthetic hormones. Super intense body building (as well as performance enhancing drugs) can increase testosterone in the body which can lead to breakouts. Tone down the workouts so that they’re less stressful and quit the performance enhancers. Start by eliminating the most obvious food sensitivities for those with acne – and those are wheat and gluten, conventional dairy, and soy products. Eliminate anything you think you may have a problem with for a month or two and monitor yourself for any changes in your skin, moods, or digestion. Get a food allergy test done. I recommend an electroacupuncture test, or kinesiology testing. Cut way down on sugar and refined, processed foods (like white bread and rice). Try to stay away from coffee, drugs, or other stimulants – it feeds the sugar swings. Eat snacks throughout the day to prevent your blood sugar from dipping too low. Buy a glucose meter that diabetics use to test their blood sugar levels. This can help you get a precise idea of which meals and combinations of foods cause problems for you. Cut way down on sugar and refined processed foods. Take probiotic supplements and eat fermented foods. Get an electroacupuncture test that can let you know if you have a candida problem, and how bad it is. If you have a candida problem, do a candida diet and include yeast killing antifungals in your regimen. Take a psyllium husk fiber supplement. Cut down on grains (especially gluten grains), unsoaked nuts and seeds, tough raw vegetables (like broccoli), and other things that are tough to digest. Be mindful when you eat. Chew thoroughly, don’t rush, and don’t eat when you’re stressed. Take digestive enzymes to help you fully digest your food. 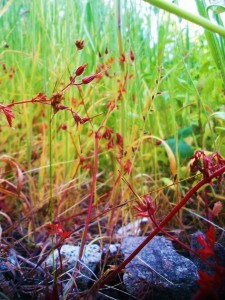 Begin a practice of meditation, breathwork, yoga, or some other calming, relaxing activity. Do you what you love and that makes you feel good about yourself! Concentrate on what you’re good at and ignore the rest. Reevaluate your life. What can you do to move away from the people and things that don’t resonate with you or support your best interests? After you’ve reevaluated your life, take action. Don’t sit there and do nothing. Are you doing too much with your time and getting overwhelmed? Remember that 80% of your output comes from 20% of your effort. Streamline the things you have to do and cut out the unimportant stuff. Every morning or evening, write down 5 things that you’re grateful for. Remember that your thoughts are not as important as you think. You don’t have to believe every negative thought just because it came into your head. If you need extra help, see a counsellor or or a hypnotherapist. Stop drinking caffeine. Caffeine automatically raises the stress hormone in your body. Simplify your skin care and stop messing with your face’s natural balance by using commercial products that are full of ingredients and chemicals. I suggest using raw honey to wash your face, and only organic aloe vera as a soothing moisturizer/toner/whatever. Find a skin care routine and stick with it. Shocking your skin by changing every two weeks is a bad idea. Stop picking, popping, touching, using abrasive things, and irritating your skin. Just leave it alone. If you need help, read Stop Picking On Me. Never wash your face more than twice a day even if your skin is oily. Become aware if you are leaning into or pressing things onto your skin (like your cell phone) and getting breakouts in those areas. If you notice a connection, try to find a new way to hold your phone, etc. What do you think? Are you more clear on what you need to do now, or more confused? Last post, I discussed some of the major imbalances that can contribute to your skin problems. 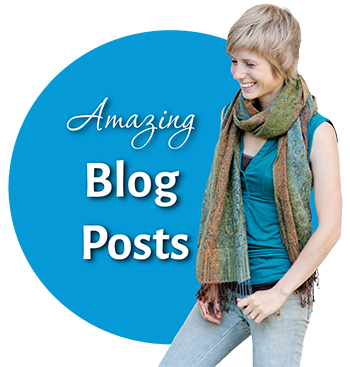 I promised you that in this post, I would give you some clues that you can use to figure out which ones may be the major players in your acne. Do you eat a really poor diet (full of processed foods, refined foods, fried foods, sugar, hardly any vegetables) and you know it’s really bad? Do you never exercise, or just aren’t very active? Have you never given your diet or lifestyle a second thought before now? Is your skin really pale and hair and nails quite dry and brittle? Do your hands and feet get cold easily? Do you lack much energy? Do you find that you get colds and other illnesses often and easily? Do your eyes look dull and the whites of your eyes not very bright, or sort of yellowish? If you’re a girl, did your acne begin after you stopped hormonal birth control? If you’re a girl, do you experience intense PMS symptoms or irregular periods and experience most of your acne just prior to your period? Are you an adult woman with persistant acne and get most of your acne on your chin and jaw line? Do you eat lots of conventional dairy and meat? Do you rarely get a good night’s sleep? If you’re a girl, do you have excess body or facial hair? Do you have kind of a masculine personality? Are you really into intense body building and perhaps use performance enhancing drugs? Do you eat lots and lots of wheat, dairy, or soy? Do you feel tired or bloated after eating certain foods? 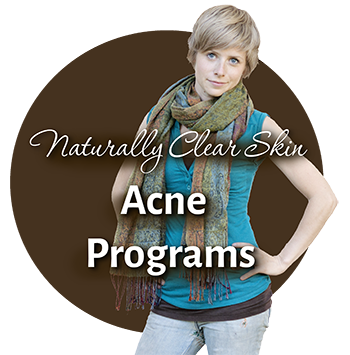 Do you feel that you already eat and live quite healthfully and can’t figure out why you may still be getting acne? Do you crave sugary foods, caffeine, cigarettes, or drugs? Do you find that your moods go up and down throughout the day? Do you find that you get cranky, jittery, dizzy, or weak if you are hungry? Do you find that you’re always very thirsty? Do you eat predominantly carbohydrates (particularly refined ones)? Do you often have bowel movements that are either too loose, or too hard? Do you only poo once every couple of days, and have to strain (ie. you’re constipated)? Do you get stomach aches, a bloated stomach, or gas quite often? If you’re a girl, do you get yeast infections frequently? Have you taken long rounds or multiple short rounds of antibiotics in the past? Do you get a lot of acne on your forehead? Do you crave sugar, bread, or alcohol? 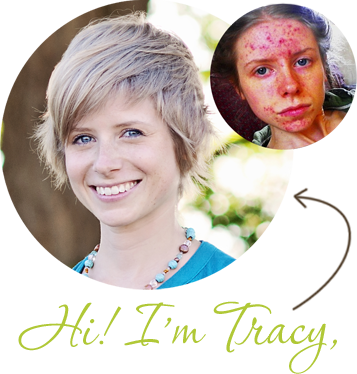 Did your acne start or get a lot worse fairly soon after a traumatic event in your life? 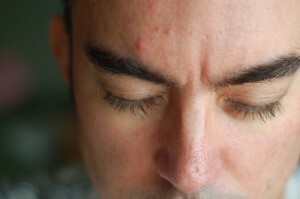 Do you notice that your acne gets worse when you are stressed out? Do you feel like no one will love you unless you’re perfect? Do you think lowly of yourself and don’t have much confidence, even before your acne problem started? Do you live a really busy, go go go kind of lifestyle or have a stressful job? Do you have friends or family members who don’t support you or make you feel ashamed or unworthy? Are you doing the things in your life that you want to and being the person that you want to be? Or are you not being true to yourself and trying to be something that you’re not? Do you wash your face with skin care products with harsh chemicals or comedogenic ingredients? Do you exfoliate your skin often with harsh particles or wash clothes? Do you use conventional acne topicals that are very drying? Do you wash your face more than twice a day? Do you pop all your pimples? Do you pick at your blemishes? Do you change your skin care routine all the time? Okay! Now that you may have an idea about the imbalances you’re dealing with, the big question is…. what can you do about it? Find out in the next post!